Composer John Bischoff will present a 20 minute slideshow on the history of electroacoustic music, then perform 3 works of live computer music. 56×54: But Wait! There’s More! 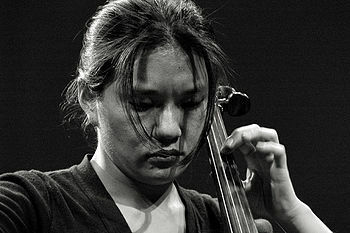 OKKYUNG LEE (Artist-in-Residence) – Okkyung Lee is a cellist, composer, and improviser who moves freely between artistic disciples and contingencies. Since moving to New York in 2000 she has worked in disparate contexts as a solo artist and collaborator with a wide range of creators. Women’s Audio Mission presents Local Sirens featuring the Real Vocal String Quartet, Hae Voces and For Now. John Zorn // Sofia Rey & JC Maillard! Andrew Cyrille / Wadada Leo Smith / Bill Frisell! New from Cantaloupe: Michael Gordon & Bill Morrison Kronos Quartet! Bang on a Can All-Stars! David Lang’s Mystery Sonatas! New on Leo: Slava Ganelin Duo! Exodos w/ Gerry Hemingway! Stephen Rush/Andrew Bishop! Pago Libre & Christy Doran! Ivo Perelman & Jason Stein! Reut Regev R*Time w/ Jean-Paul Bourelly! Steve Kuhn/Steve Swallow/Joey Baron! Plus Historic Discs from Dexter Gordon! Howard Riley! Keith Tippett Group! Amalgam! LP’s from Maya Deren! Hampton Greaseband and Axiom Funk Cronomicon! VIJAY IYER at Jazz Standard (through Jan. 27, 7:30 and 9:30 p.m.). Iyer’s sextet has been one of the hottest commodities in jazz since the release of its debut, “Far From Over,” in 2017. A version of that band will play on Friday and Saturday, presenting Iyer’s beaming, rhythmically interleaved original music. Then on Sunday, Iyer will perform with a newer group that features some of his colleagues and students at Harvard University, where he teaches. (He’s also a MacArthur fellow.) That band is called the Ritual Ensemble, and it features Ganavya Doraiswamy on vocals, Yosvany Terry on saxophones and Rajna Swaminathan on mridangam, an Indian percussion instrument. AVA MENDOZA ET AL. at H0L0 (Jan. 31, 7 p.m.). A conclave of young avant-garde improvisers will descend on this darkened basement in Ridgewood, Queens, for a night of free playing. It’s hard to know where things will go; if you go, steel yourself for a wide variety of musical textures and temperaments, most of them liberated from standard time and harmony. The performers include the thrashing, post-metal guitarist Ava Mendoza; the pensive tenor saxophonist Ingrid Laubrock; and the bassist Brandon Lopez, who uses his instrument in a variety of nontraditional ways. ‘THE MUSIC OF ANTHONY BRAXTON’ at Roulette (Jan. 25, 8 p.m.). One of the premier — and most prolific — living American composers, Braxton continues to release reams of new music, typically drawing on improvisation and built around his own complex musical systems. On Friday his 12-disc collection titled “GTM (Syntax) 2017,” featuring his Tri-Centric Vocal Ensemble, comes out. Here an 11-person version of that group performs in celebration of the record’s release. Afterward, the electronic musician Carl Testa and the pianist Cory Smythe will play music from a different part of Braxton’s repertoire, using a compositional system of his called Echo Echo Mirror House Music. 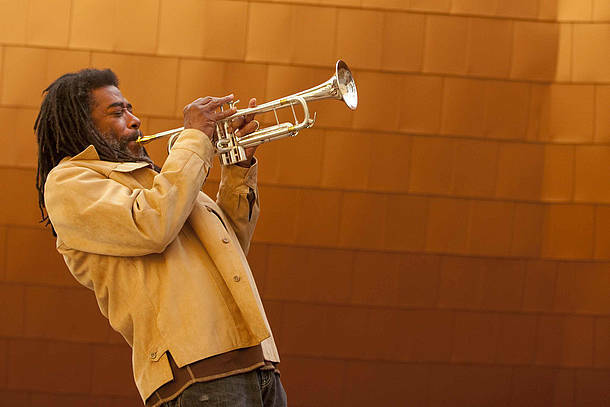 WADADA LEO SMITH at the Appel Room (Jan. 26, 7 and 9:30 p.m.). Every recording Smith releases feels apt to be called a “landmark.” It’s the awe-inspiring, wide-screen breadth of his trumpet sound, the slowly accruing power of his compositions, and his way of making even small ensembles sound spacious — and ancient. “America’s National Parks,” his widely acclaimed 2016 release celebrating the natural wonders of North America, stands out in particular for its tumultuous melodic beauty and the bristling, mutating forms of its compositions. 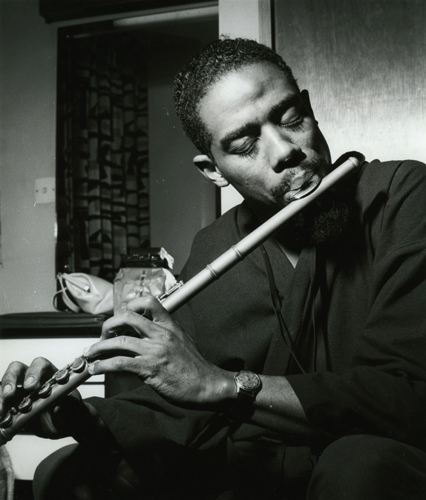 At Jazz at Lincoln Center, Smith presents the New York City debut of this work, joined by the personnel from the album: the pianist Anthony Davis, the cellist Ashley Walters, the bassist John Lindberg and the drummer Pheeroan akLaff.